If you’re like most plan sponsors, you have many demanding challenges competing for your attention. LPL advisors work with retirement plans every day, and they will help save you time, effort and worry. LPL advisors bring the experience and tools that deliver value, seek to improve participant outcomes, and manage your fiduciary risks. 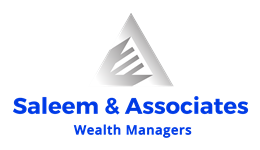 Plan Advice Manager Evaluates plan’s investment lineup and identifies funds that should be included on the “watch” and “replace” lists, based on the plan’s investment policy statement and selected fund parameters.